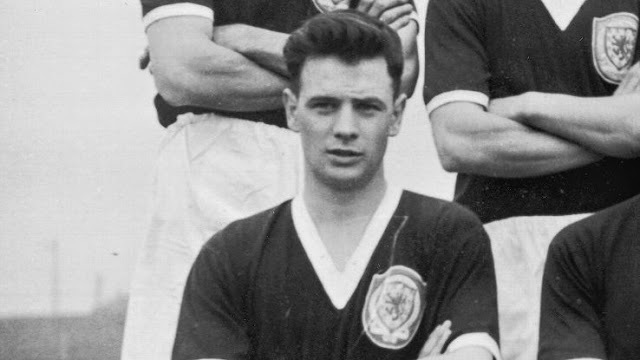 This past Sunday, August 30 former Scottish international Graham Leggat passed away at the age of 81. The Aberdeen-born Leggat scored 64 goals in 109 games for the Dons between 1953 and 1958, while helping the club temporarily break-up the Old Firm with a Scottish league title in 1954-1955 and a Scottish League Cup in 1955-1956. "Everyone at Aberdeen is saddened with the news that former star Graham Leggat has passed, arguably one of the best players ever to grace Pittodrie." "The term 'legend' is overused these days but in Graham's case it was entirely appropriate. He was a wonderful servant for both club and country and our thoughts are with his family at this extremely sad time." 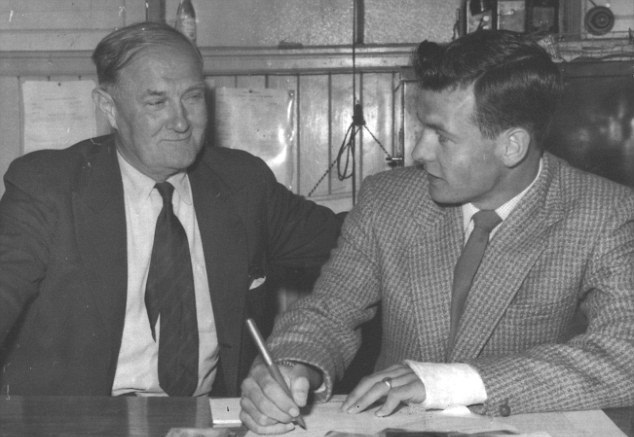 Shortly after appearing for Scotland at the 1958 World Cup in Sweden, as was the norm for many of Scotland's brightest stars of the era, Leggat moved down south to England and joined up with Fulham. After transferring to the London club for £20,000, he went on to score 134 goals in 280 games for the Cottagers - including a record breaking three-minute hat-trick in a game against Ipswich in 1963. His record for the fastest hat-trick in a top flight match in England would stand for over fifty years until Sadio Mane of Southampton bested his record time in May 2015. Despite being a player of considerable pace and skill, it was his post playing career that would impact the greatest number of people and it would come in the most unlikely of places. Moving to Canada in 1971 to manage the Toronto Metros of the old NASL, Leggat would come to call this country his own and after moving into broadcasting during the soccer tournament at the 1976 Olympics he would help grow the interest people have here in the sport. It seems hard to believe now with the wall to wall coverage of soccer in this country that before a young cable station called TSN grabbed the rights to the World Cup in 1986, soccer coverage in Canada was almost nonexistent. The national broadcaster CBC would show the FA Cup Final each year on a one week delay and prior to the aforementioned World Cup you would have to go to a cinema or arena showing matches on closed circuit to see the finals once every four years. League matches or highlight packages, even on cable television, simply weren't shown. After the success of the Italian side at the 1982 World Cup and the resulting parties on St. Clair in Toronto, broadcasters started to think that there might be something to this whole soccer business though and the full coverage of the 1986 tournament in Mexico was the result. One of the reporters for TSN that had been hired to cover this "foreign" sport was Graham Leggat and the Scotsman with his distinctive accent and charm would quickly become the face of the game here. Eventually Leggat would begin to host a weekly highlights program on TSN called "Soccer Saturday", which would provide a round up of highlights from around the globe, with a particular focus on European soccer. The importance of this show for people my age cannot be overstated. It was our window into what was happening in the soccer world and whetted our appetite for seeing even more. 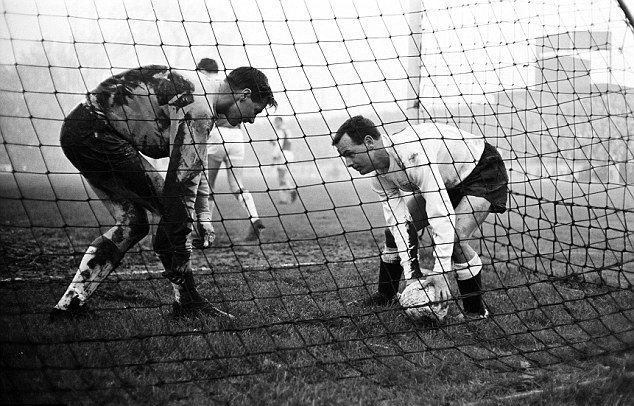 Around this period my grandmother used to mail me a bundle of Match, Shoot and 90 Minutes magazines from England every month or two, but besides that Soccer Saturday was the only way for me to get my fix on what was still seen as a fringe sport in North America. Although the highlights were a week old, we were able to see our favourite sides and stars in action, listen to Graham's intelligent analysis, and then crowd around the television at the end of the show to hear him read out the live final scores from that day's matches. If you were into soccer in the 1990's, particularly in the pre-available Internet age, this was how you effectively followed your club sides exploits. Besides his work on the ground breaking Soccer Saturday show, Leggat also hosted TSN's first forays into the UEFA Champions League when the revamped European Cup began play in the 1992-1993 season and he was also on the desk for the network's World Cup and European Championship coverage. With his dedication, enthusiasm and knowledge Leggat helped grow soccer on our screens here in Canada and I think you could argue that without him we wouldn't have had the interest necessary for Sportsnet and TSN to begin showing live league matches starting in the late 1990's. 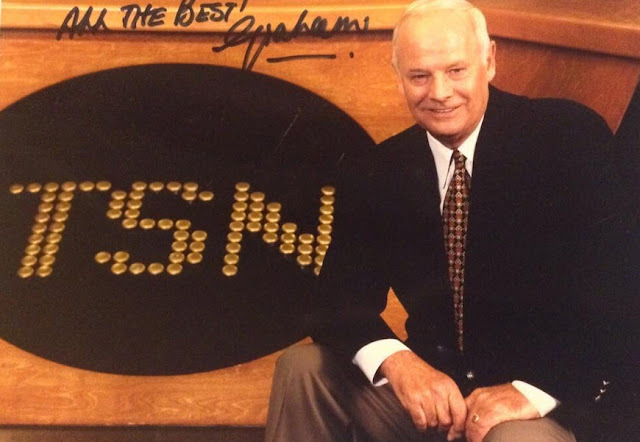 A true broadcast pioneer, a great player, and from all accounts a kind man, Graham Leggat will be missed, but for fans of the beautiful game like myself in Canada his impact will not be soon forgotten. Thank you so much for commenting on the piece. Graham's show was a big part of my Saturday's growing up and helped keep my love for the sport alive at a time when it got barely any coverage in Canada.